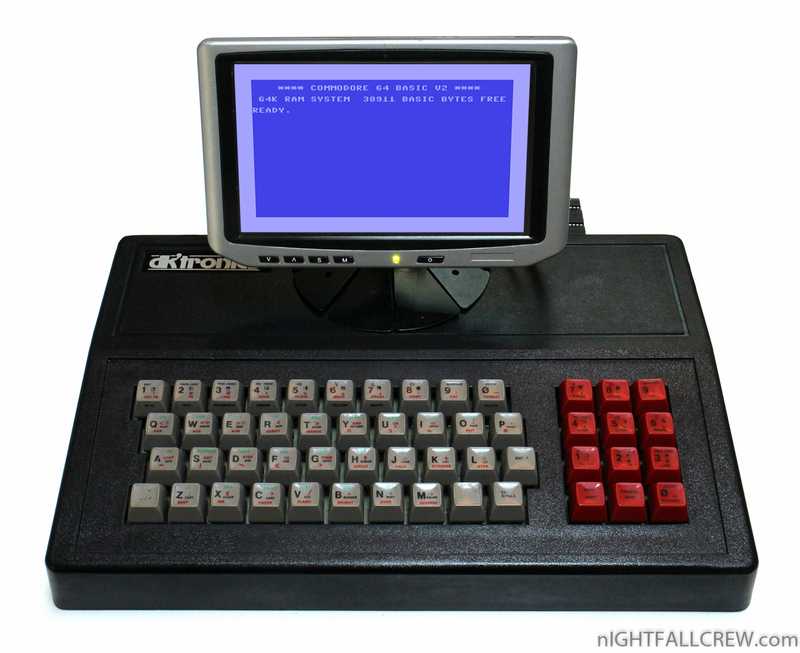 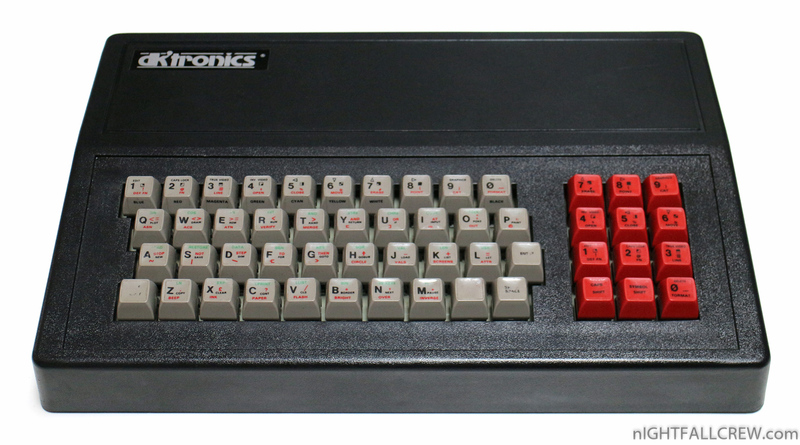 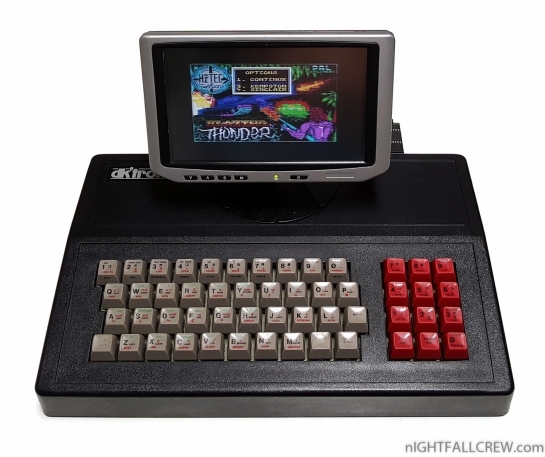 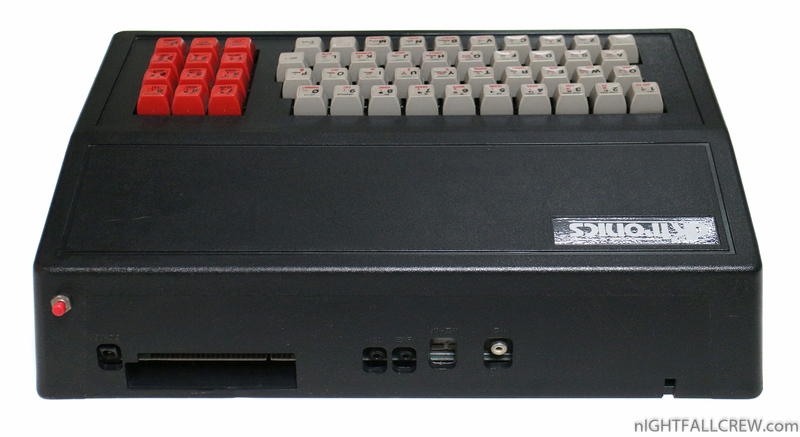 The DK’tronics keyboard for the Sinclair ZX Spectrum is a sturdy, solid-looking, black ABS case with a set of grey alphanumeric keys on the left and a 3×4 red numeric keypad set on the right. 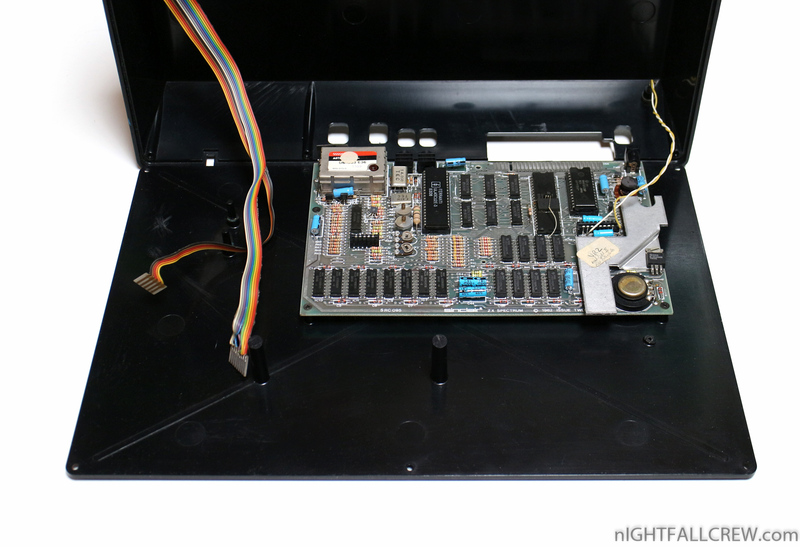 The Spectrum is removed from its case by unscrewing the case halves, gently pulling out the two keyboard connecting ribbon cables and unscrewing the two small circuit board screws. 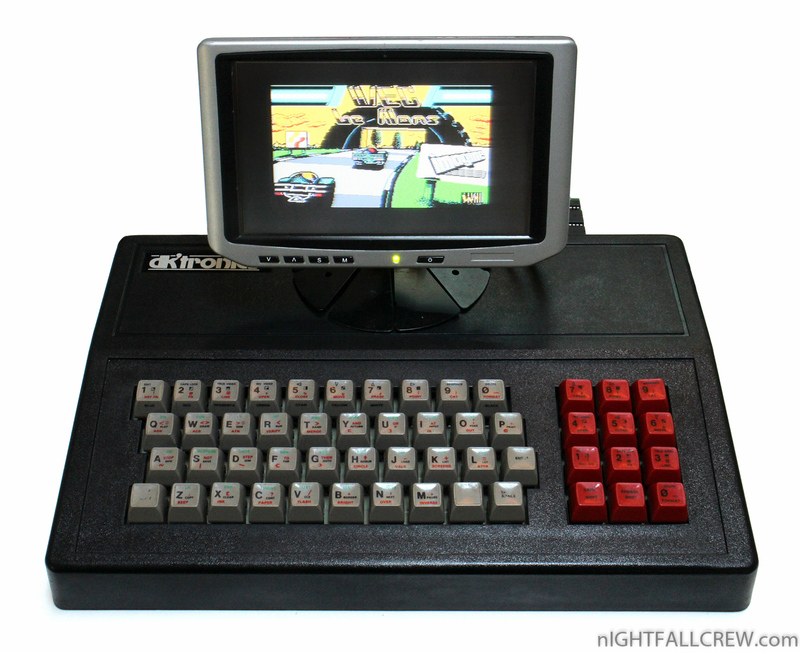 The reverse process is then undertaken with the DK’tronics keyboard. 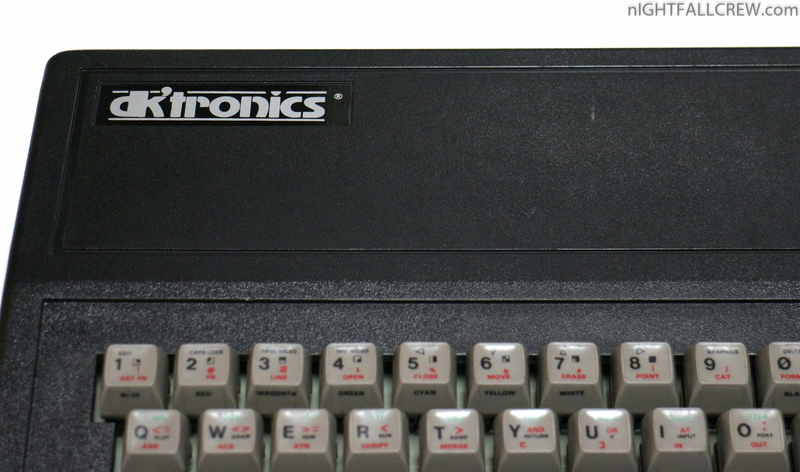 Precise instructions are supplied so any incompetent can do it – even I managed ! 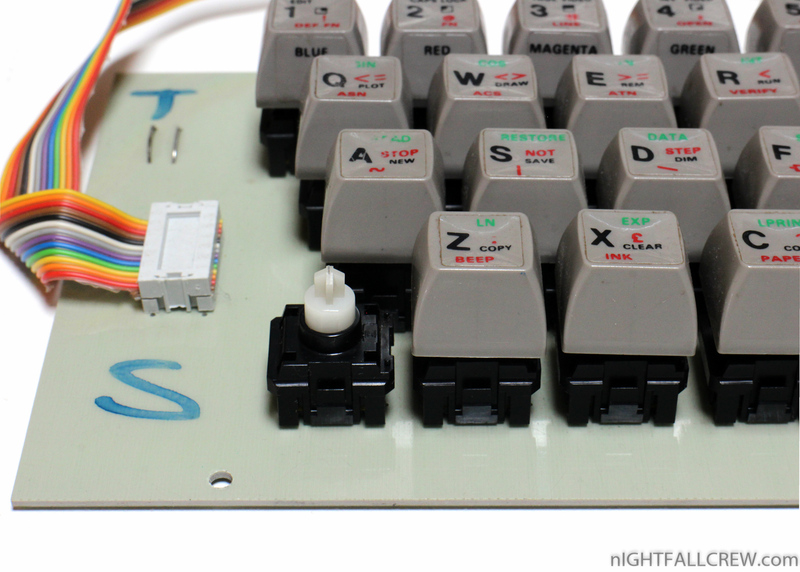 The keys have a pleasant feel to them, the spring pressure was just about right to allow for my fumbling efforts, and generally the legends supplied on transparent stick-on plastic labels, are easy to read.